Diante do Trono is the most successful Brazilian gospel band of the church Batista da Lagoinha. The group’s career started in 1997 and has performed not only around Brazil but in various other countries around the world. The monastery is formed with 50 musicians and has already released over 25 albums and have sold over 3 million copies. 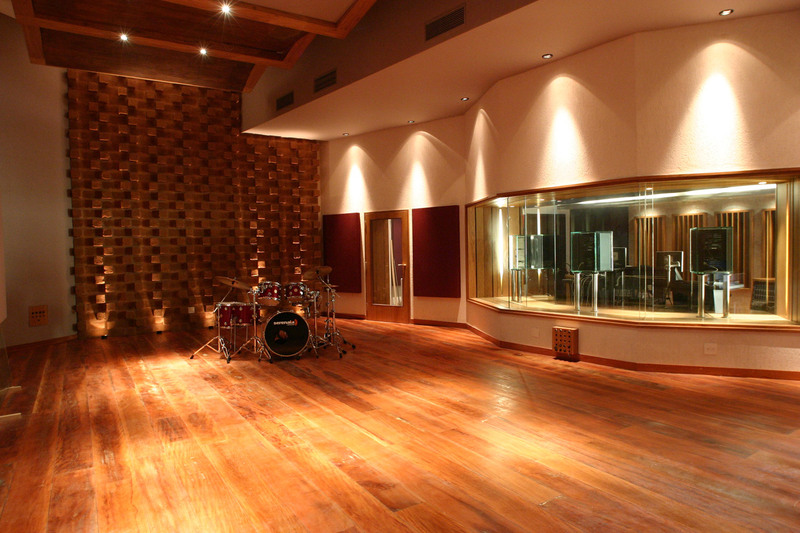 With the increasing demand of work, also came the need for the creation of their own recording studio in the city of Belo Horizonte, where the entire music production process could be done in house. WSDG was chosen to develop all of the architectural and acoustics of the new faclity, including all the engineering such as structural, electrical and ar conditioning design. The facility is divided in three distinct areas: the main studio is 600 square feet with a 350 square foot 5.1-capable control room with two isolation booths and an equipment room. On the first floor is another recording room attached to a control room and an edit room, all adding up to 600 square feet. 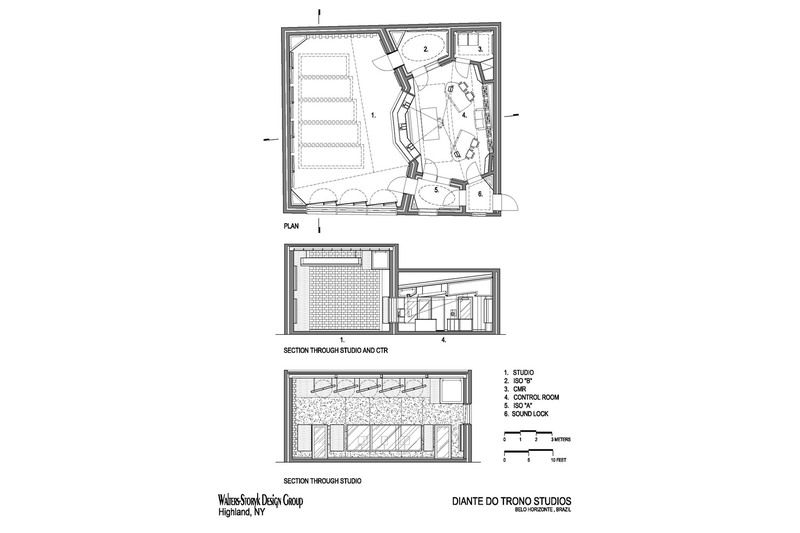 Outside the studio areas there is a lounge with a barbecue space, along with an office space and a lounge. 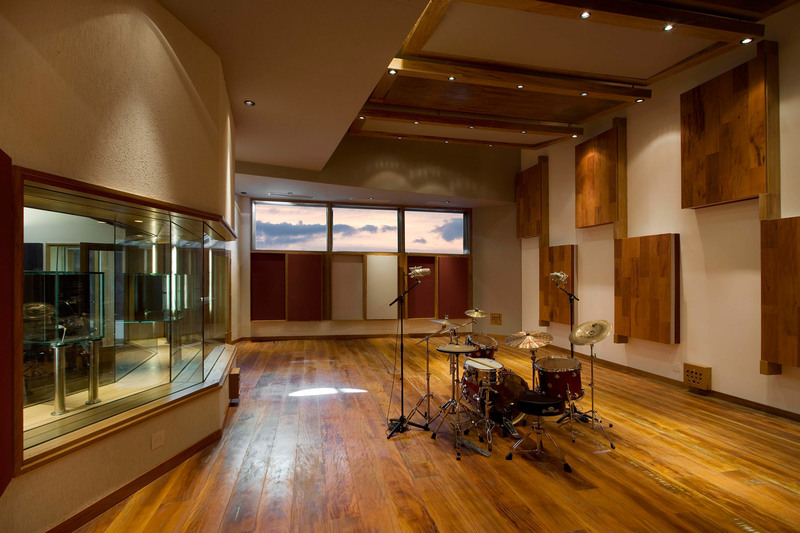 In order to provide a flexible space for different recording applications, the studio was equipped with numerous types of variable acoustic panels, including motorized units installed at the ceiling that can be remotely controlled inside the control room. 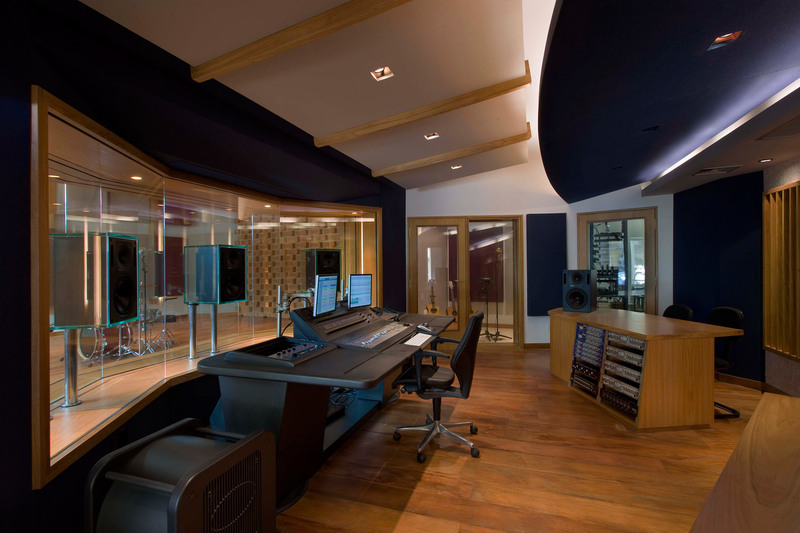 This way, after setting up the microphones for a recording session, the engineer can adjust the room acoustics to the desired time response according the the musical needs. The room also received a large diffussion surface created with special bricks from recycled materials. Another unique feature is the installation of all three front speakers inside the glass of the control room. 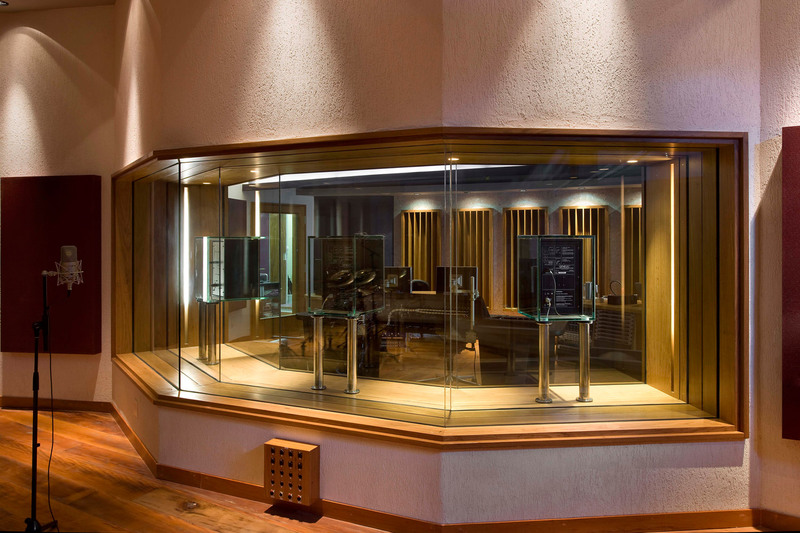 This innovative idea presented a great acoustical challenge, but resulted in a perfect sight of the entire studio live room, while still maintaining the ideal positioning of the front speakers, at ear level, in accordance with the most current professional audio standards. The surround speakers were placed over the equipment racks, on top of a motorized lift system. The position of the equipment racks and the speakers were adjusted for the best ergonomics and the ideal surround angle and distances to fulfill the ITU standards and thus providing the best sound image for the mixing engineer. 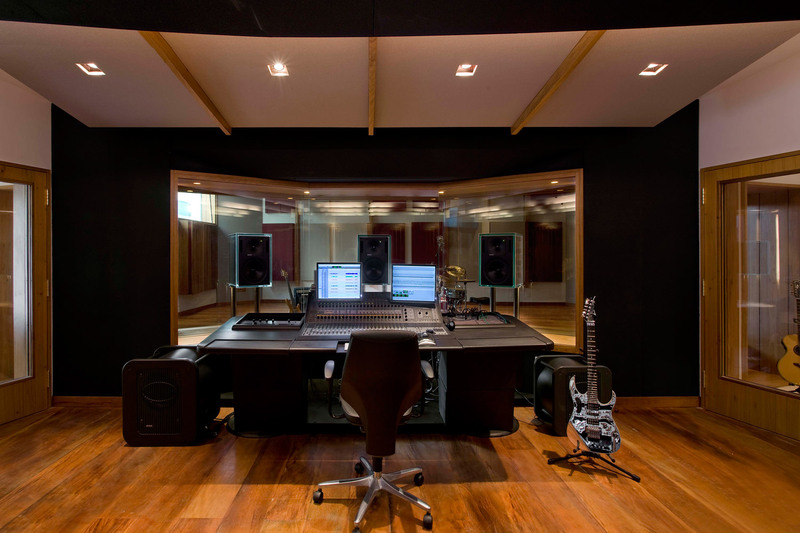 The facility is equipped with the latest Pro Tools HD3 system and numerous outboard processors, such as SSL, Neve, Manley, TC Electronics and others. A great selection of vintage microphones is also part of this state of the art installation. Visit the Diante do Trono website. Read the article in Mix Magazine. Read the article in Digital Media Nut. Read the article in Resolution. – Download entire PDF here to read full article.